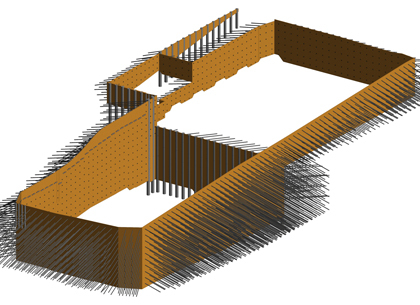 We provide the most competent and reliable 3D modeling services for shoring, underground model allow utility services. 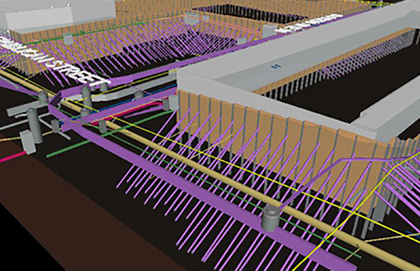 Our intelligent BIM models allow the structural engineers to create new designs and readily compare the alternatives for underground electrical, storm or plumbing utility systems without disrupting the existing active systems. Our engineers have intensive experience in preparing detailed models of underground utilities to utility contractors, excavating companies and general contractors. 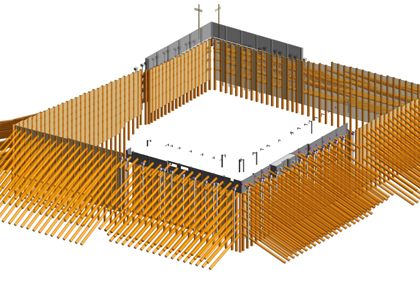 Using BIM technology in utility and underground infrastructure enables better visualization and clash detection enabling the engineers and construction personnel to identify and resolve conflicts instantly between various new and existing utility services. This helps improve coordination, mitigate risks, avoid rework or delays, reduce wastage and ultimately control overall construction cost to a great extent. 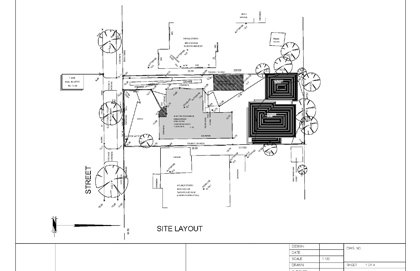 We create BIM models of the proposed underground utility network design along with every element of the existing utility system with their exact location and elevation so that every possible clash is identified and highlighted helping the engineers and contractors to proactively avoid possible collision in advance.